The Fort Irwin Rifle Team fires a 21-gun salute during the Veterans Day ceremony at Mountain View Memorial Park in Barstow on Nov. 11. 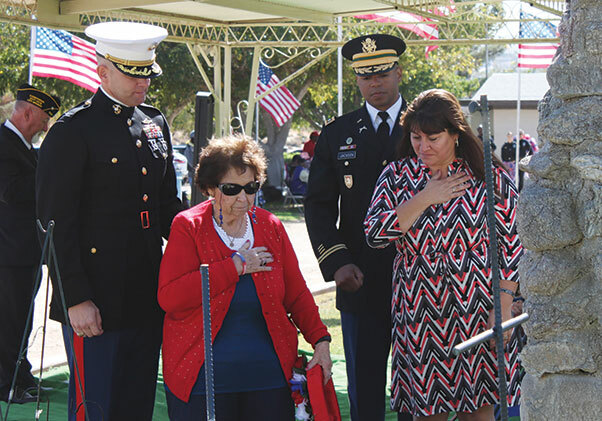 BARSTOW, Calif. — Dozens of community groups and service members, past and present, gathered Nov. 11 at the Mountain View Memorial Park in Barstow to show their support for the nation’s veterans. This year’s annual Veterans Day observance commemorated the 100-year anniversary of the end of World War I and honored the men and women who have continued to fight the country’s battles. In the High Desert, it was also a chance to bring together veterans with those who still wear the uniform. 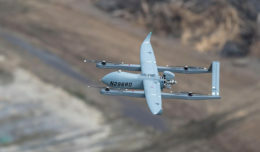 The region is home to several large-scale military installations, including the U.S. National Training Center at Fort Irwin and the Marine Corps Logistics Base Barstow, both of which sent representatives to the Barstow memorial ceremony this year. Addressing the crowd, Lt. Col. Rahsaan Jackson, director of Fort Irwin’s Directorate of Emergency Services, asked those present to pause for a moment of silence. Jackson underscored the importance of Veterans Day as a way to honor those who served before and as a reminder to support the approximately 120,000 soldiers who transition to civilian life each year. 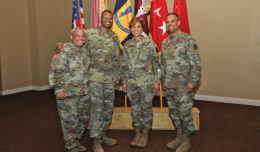 “It is up to us to make sure that these Soldiers are able to put the skills and values they learned during their time in the military into meaningful employment after separation from the service,” he said. 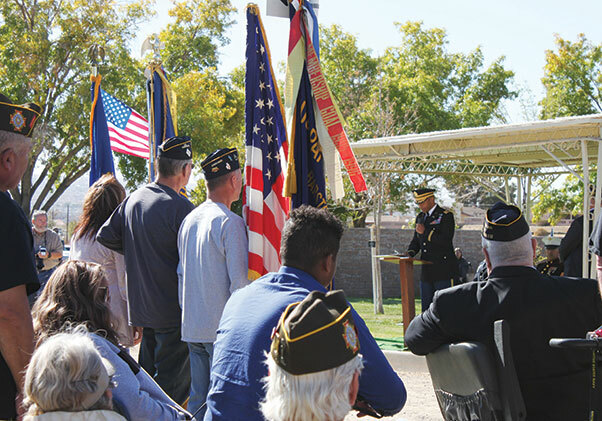 Lt. Col. Rahsaan Jackson, director of the Fort Irwin Directorate of Emergency Services, speaks to veterans and their families during the Veterans Day ceremony at Mountain View Memorial Park in Barstow Nov. 11. Today’s veterans encompass generations of service members, from those who fought in World War II and Vietnam, to those who served in Iraq and Afghanistan. But despite coming from all walks of life, veterans remain united in their common service to their country. Master Sgt. 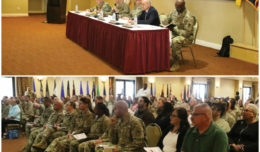 David Sweeney, Sergeant Major of Fort Irwin’s Directorate of Emergency Services, said many of the country’s veterans – especially those who served in Vietnam – were not well received when they first returned from war. He said it is crucial to show them support going forward. “Days like today are important because we need to make sure we don’t forget our veterans,” he said. 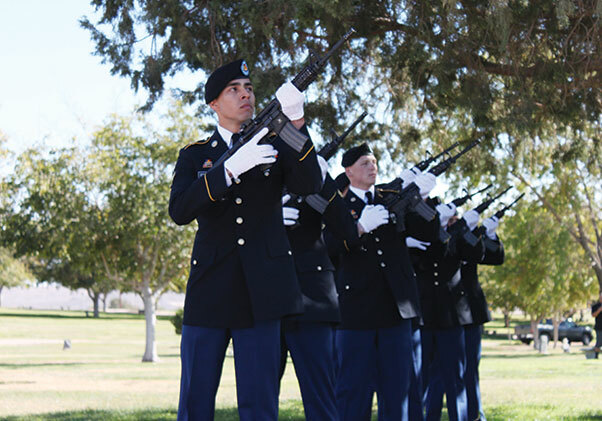 The Fort Irwin Rifle Team concluded the Barstow ceremony with a 21-gun salute. 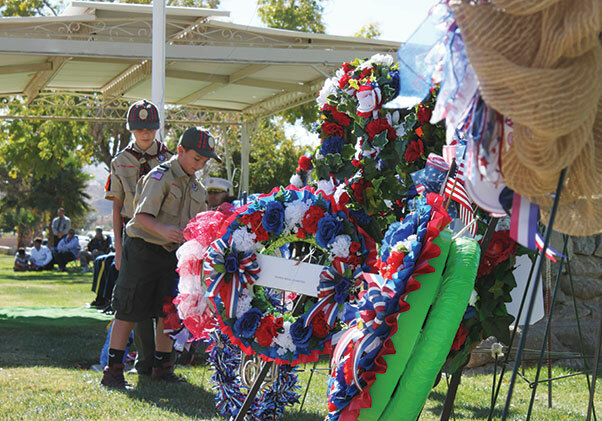 Community and Veterans groups from across the High Desert presented more than a dozen wreaths Nov. 11 at Mountain View Memoria Park in Barstow to honor our nation’s vets.